As warmer weather enters the picture, our meals tend to become lighter. And often colder. 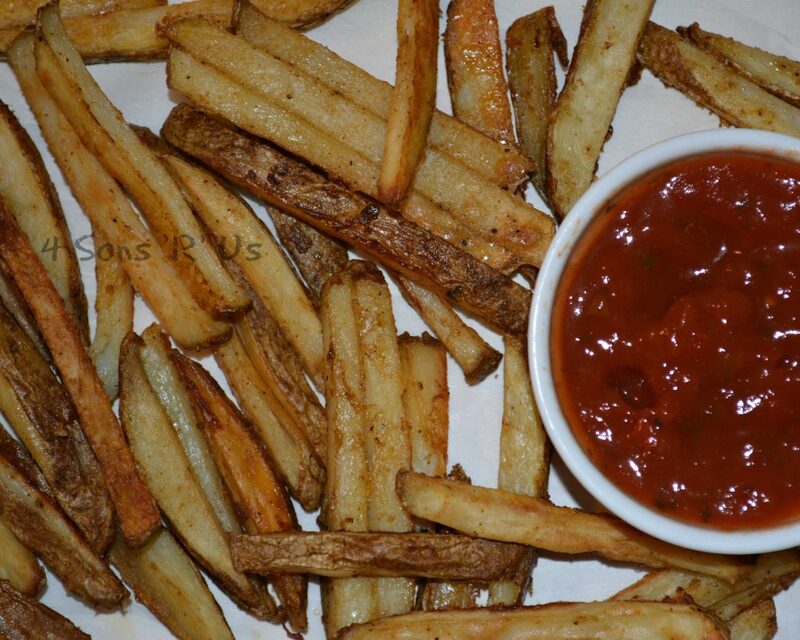 Less heavily meat driven meals, think more snack friendly fare. While using the oven is inevitable, I do try to avoid it as much as possible. My kitchen is tiny. I make it work, but after about thirty minutes of moving back and forth between the stove, the sink, and the cutting board it feels like I’m in a sauna with an oppressive amount of heat. It’s hot outside. I pay for air conditioning. The last thing I want to be is sweating inside while prepping the evening meal, especially if I have any hope or inclination toward actually sitting down and enjoying it. To some that probably sounds like it leaves a very limited number of options, and a very boring menu in store. But it really isn’t so. One look at my strapping sons and you’ll know they’re fed very well. Despite the lack of ‘heat’ going into their meals, mostly dinners. I’m lucky that my kids actually enjoy salads. My husband didn’t voluntarily eat one and enjoy it until his mid-twenties. The youngest son? At one he would eat plain lettuce, and dug into his salads as long as the dressing was on the side. Yhea, plain lettuce to me is rabbit food. Luckily, I’ve been able to work him up to more normal salad eating habits, with the leaves actually being tossed in dressing before consumption. Thankfully, I have pictures to prove of his previous penchant for plain lettuce, because he wouldn’t have believed me otherwise. So back to salads. They’re one of my go-to’s in the warmer months. They fit my requirements perfectly. I can serve it in one bowl– let’s be honest, less dishes are always a plus. Any my favorite part? There are so many options for creative flavor pairings and mix-ins. We’ve created some awesome salads that encompass seasonal flavors. I’m ok with a protein-less salad, or even one that substitutes nuts or other sources as meat alternatives. My guys? Not so much. While they aren’t cave men, they are partial to their meats. 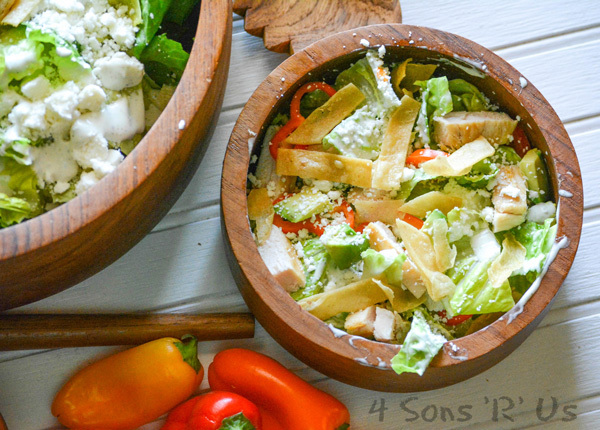 Big bowls of salads featuring chicken are a main stay at our Spring/Summer family table. 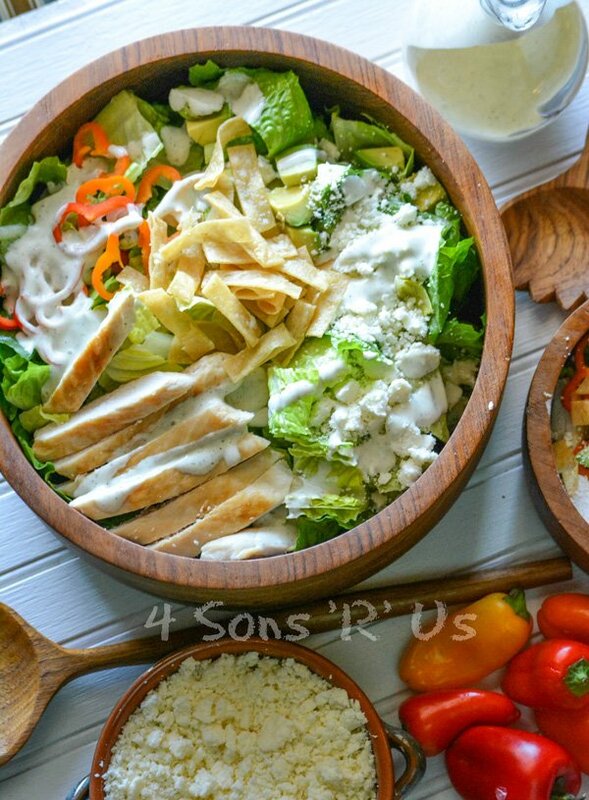 One of our favorites being a hearty Chicken Caesar Salad. 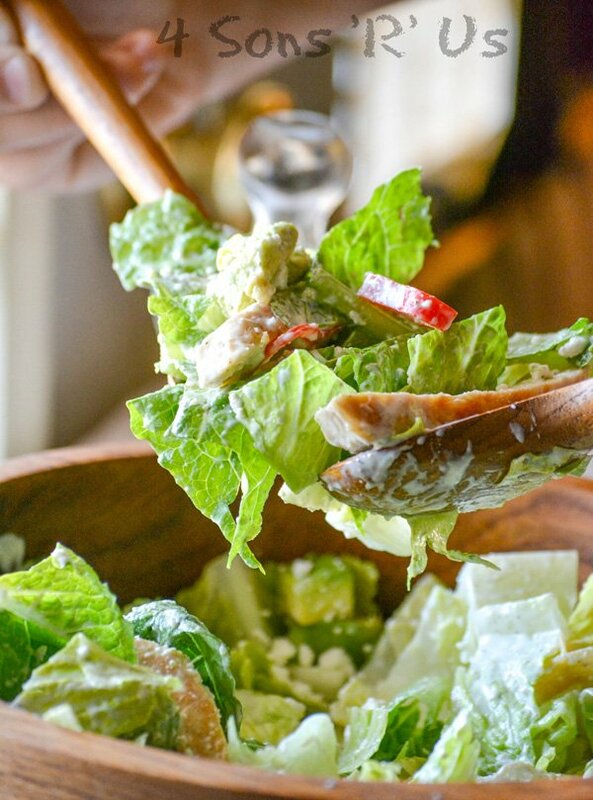 Cinco De Mayo’s coming, and in light of that we opted to give our regular Caesar salad a Mexican twist. 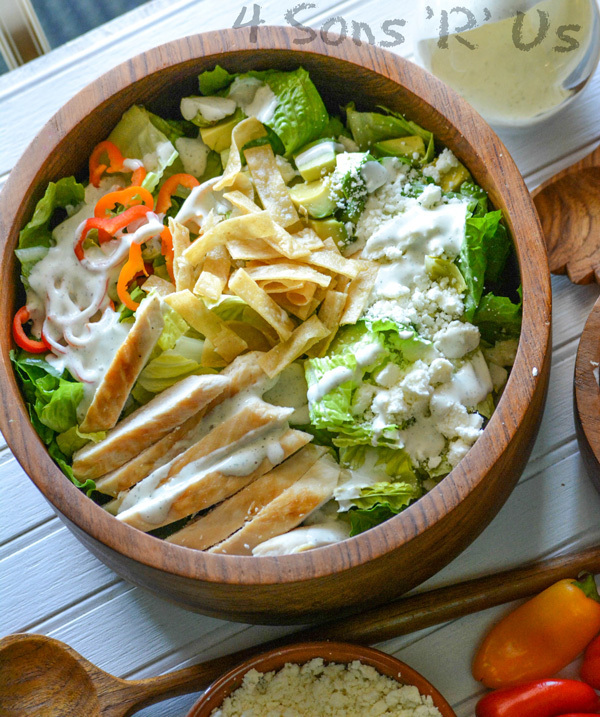 This Mexican Chicken Caesar Salad is a crisp, refreshing dinner. 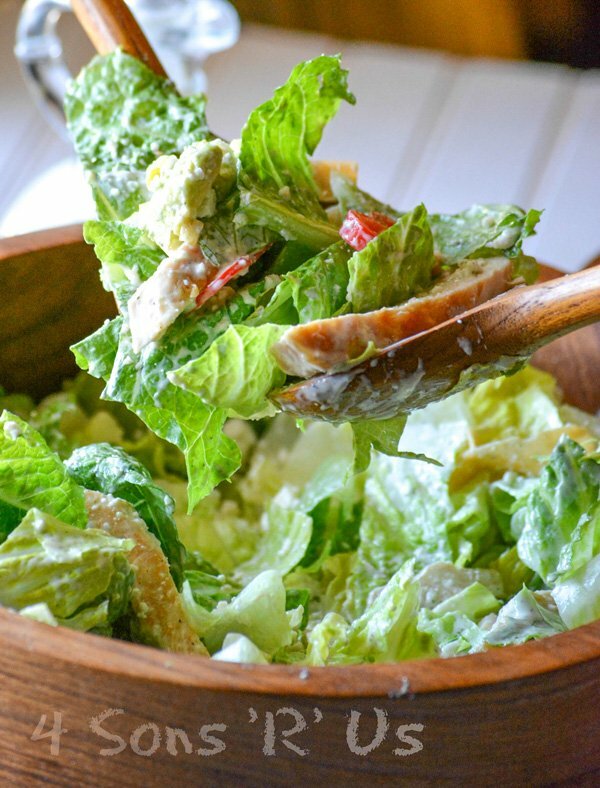 Chopped romaine lettuce and chunks of grilled chicken are tossed in a creamy, herbed ranch dressing. Studded with fresh pepper rings, crunchy pepitas, and crumbled cojita cheese, it’s a fresh, Tex Mex spin on an old favorite. Top it with crispy fried corn tortilla strips for a full meal that keeps you fueled and totally delivers on delicious flavor. 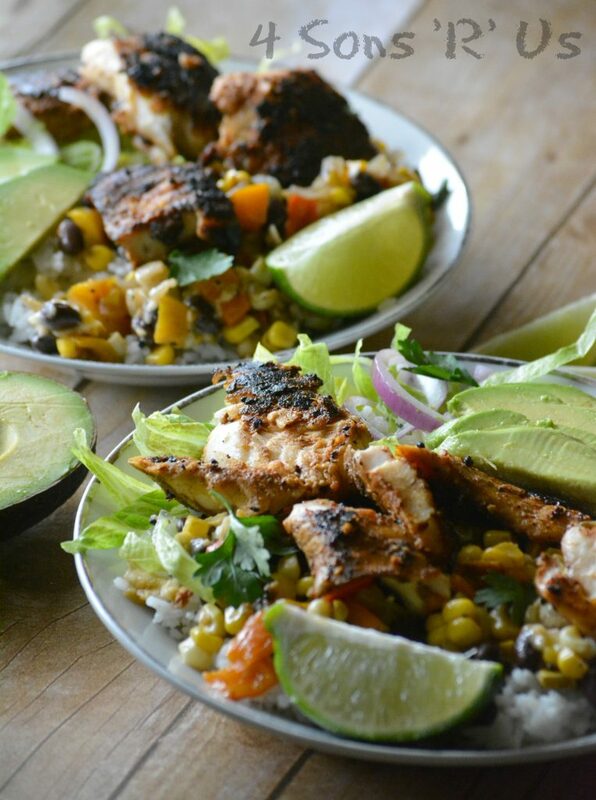 A tangy, savory salad with Mexican flavors-- it's a fiesta in every delicious bite. Add the first 8 ingredients into a blender. Blend until the mixture's smooth and evenly incorporated. Add in the cilantro, a bit at a time, blending until the dressing is again completely smooth. Repeat until all of the cilantro has been incorporated. Slowly add in the mayo and water, blending until they're both incorporated and the mixture's smooth and creamy. 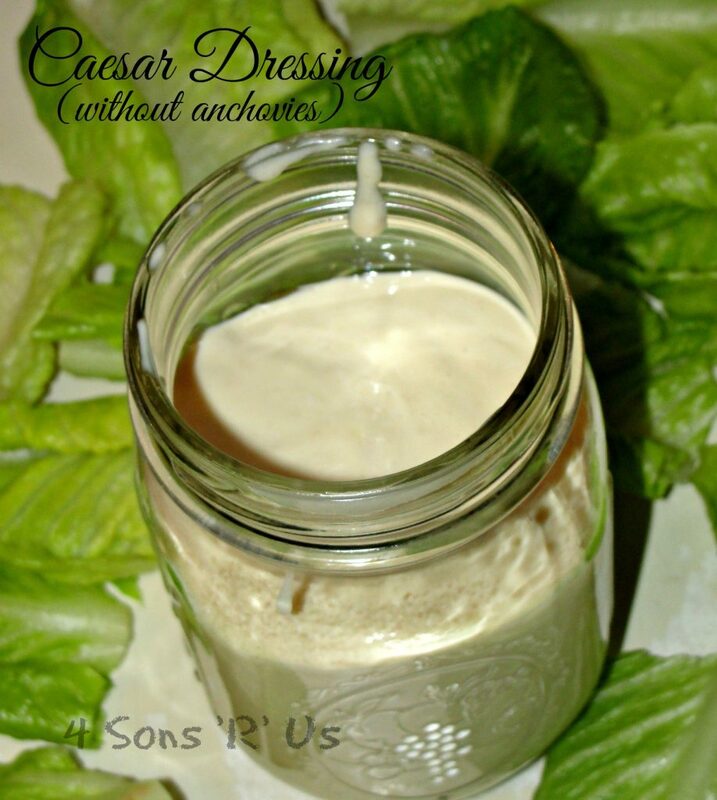 Refrigerate the dressing until ready to use. 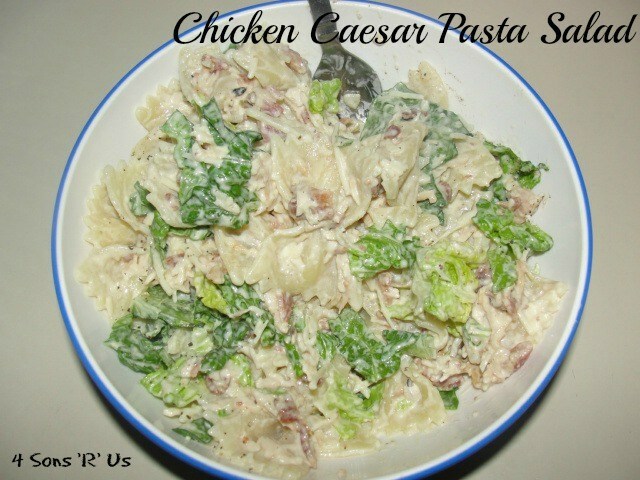 To a large serving bowl, add the lettuce, cheese, peppers, chicken, and dressing. Toss until everything's evenly combined and well coated with dressing. Serve the salad in the bowl, or in individual serving bowls. Top with the crispy tortilla strips and the pepitas just before serving. You’re so right– they can make for such refreshing meals when the weather’s warm without being overly filling.